In Florida, some of our best memories are made in the water, but when a cold snap comes through, our fun in the pool is cut short! Whether you’re a homeowner or a property manager with tenants or short-term vacation guests, everyone hates jumping into water that leaves your teeth chattering. Or maybe you’re just looking to heat a spa, instead of your whole pool. Additionally, many health conditions can be helped with consistent exercise in warm water. In our climate, cold pool temperatures can easily occur in the fall, through the long Florida “winter” and sometimes into the late spring. A pool heater installation can help with all of the above! Liquid Propane (LP) Pool Heaters. We can also repair almost any make and model with both factory or aftermarket parts based on your request. Our comprehensive approach to pool heater maintenance and care is your answer to reducing headaches, guest/tenant complaints, and unexpected repair costs. Pool heater maintenance can always be accomplished along with an air conditioning maintenance and our qualified service team can get your pool ready for those cool fall and winter months. We will always give you an accurate quoted price before we proceed with any work. This ensures that you are in control of the entire process from diagnosis to repair. If you are a property manager, we have some great solutions on how to keep better offsite control of the pool heater. For a short term vacation home, a pool is becoming a staple of what guests desire in a property they are considering. 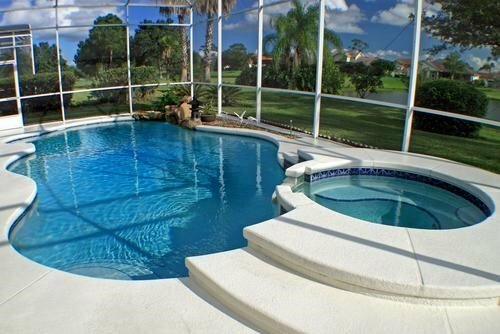 We’ve found that pool heaters can be a great added feature when your guest is closing a booking on a home. Conversely when there is an issue with the pool heating the issue will cause a lot of guest complaints. Kalos Services can save you time and money through less service calls, higher tenant/guest satisfaction and extending the lifetime of these pool heating systems.